HB405: Dilemma: How to Keep Montana’s Young Workforce Home? Montana’s young folks with postsecondary and trade educations are packing up, leaving their small towns and heading to one of our seven central urban areas — or bolting the state altogether to make a decent living. It’s an issue that comes up in conversation time after time, and in many ways it seems as if there is no solution. Whether they want to or not, young people are moving out of state so they can earn more competitive wages and live in more communities that are more vibrant with restaurants, entertainment and shops. But it seems that some aid is in the works to help slow the death of Montana’s small towns: Sidney Republican Joel Krautter is sponsoring the “Catch and Keep Montana’s Treasure Act” (House Bill 405) at the current Montana Legislature, which would create the Catch and Keep program. 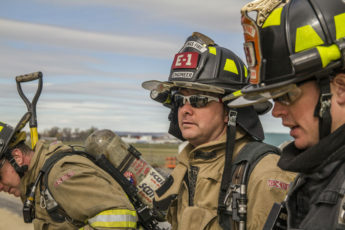 The bill would provide incentive grants through the State Special Revenue Fund for recent Montana post-secondary and trades graduates who want to live and work in our rural areas. It’s a win-win for young professionals with any kind of post-secondary education — certificates included — and our small struggling towns. 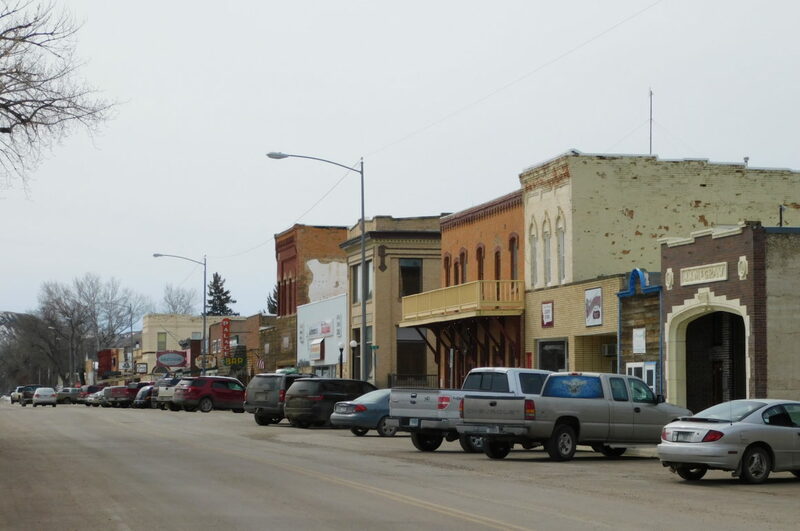 Krautter, a Deer Lodge native, has been watching the towns he knows well slowly wilting, losing population, consolidating schools with former nearby rivals and seeking to maintain strong infrastructure and viability. “I was looking around at what was happening in rural Montana with our professionals, whether business professionals, attorneys, and CPAs and seeing a lot of retirements and near-retirements,” said Krautter, obviously worried about the dearth of young professionals to naturally replace the outgoing cream-of-the-crop civic leaders. “And I thought, what can we do on this issue that we can do to help? Because there really wasn’t many workers coming up behind these people,” he added. Eric Dietrich of Montana Free Press reported that Montana’s population overall is growing, but its rural areas are shrinking in population. Census data indicates that 19 of Montana’s 56 counties have seen population loss by at least 5 percent since 1990. WHAT IS THE ‘CATCH AND KEEP’ PROGRAM? Catch and Keep, for short, identifies counties with fewer than 15,000 residents as high-need, but would consider some counties with more population as low-need. If passed, the bill will provide incentive grants to approved applicants ranging from $5,000 to $15,000, depending on the applicant’s type of work and level of education. Masters degrees and postdoctoral grads would be eligible to receive up to $15,000, the top tier of incentives if the bill passed. Baccalaureates would be eligible to receive up to $10,000. Those with two-year associate’s degrees and apprenticeships would receive as much as $5,000, according to language in the bill. All grants require that the grantee live in the small community for at least five years. Significantly, the grants are flexible, as grads can apply them to help pay on student loans, use them as seed money to start a business, or apply them as a down payment on a house. After three years of living in the approved community, the grantee is then eligible for a $2,000 property tax credit on income taxes from the Montana Department of Revenue. The fiscal note estimates about 215 grants could be awarded each year, totalling about $1 million annually. Krautter studied other states and programs to create the “Catch and Keep Montana’s Treasure Act”. Vermont and Kansas offer model programs that provide public money and tax breaks to encourage recent graduates to move to the rural pockets of their state. The programs are successful in both states, as Kansas reported population growth in four counties within five years and Vermont awarded 50 grants to new residents. Kansas struggles with the same issues as Montana: recently graduated university students and trade workers tend not to return to smaller towns to take become a new generation of community leaders. Instead, they tend to put down roots in the larger urban areas that naturally attract younger professionals — or leave their home state altogether. To address this issue, Kansas created opportunity zones, in which recently graduates could receive a grant of up to $15,000 if they choose to live in a work in a designated rural zone that needs their services. They too, are required to live in the zone for five years. “You know, I also looked at the original Homestead Act,” said Krautter. The Homestead Act of 1862 provided 160 acres to settlers in the Western states with the requirement that they improve the land and live on it for a five-year period, much like the Catch and Keep Program. The bill, if passed, would not not simply constitute a government hand-out. Local businesses would have the option to sponsor a grantee at 25 percent of the granted funds as an investment for the community and the young professional, as well as the business of hire. For example, a CPA could give 25 percent toward the grant while hiring a young professional and providing job stability for both parties, and so could the local bank as a sponsor. If the grantee chooses to leave the town before the minimum five years, he or she is expected to pay back the grant. However, an exception would waive the reimbursement if the grantee moves to another low-need or high-need county — as defined by a structured tier system built within the program. Furthermore, if the grantee moves to an identified greater-need community, more grant money may be available. On March 11, no opponents came forward in HB405’s first hearing. At least 10 proponents of the bill testified in favor. They included builders, plumbers, CPAs, attorneys, university students and small-town citizens. “House Bill 405, we feel, does fit into this larger context of attracting businesses and employees to Montana,” said Montana Chamber of Commerce lobbyist Bridger Mahlum at the hearing. Most notable was Connie McCafferty of Lincoln, who said, “I do not represent anyone, except someone from a small town that’s dying.” She described the difficulty of summoning a certified plumber to her home in the isolated town; instead, she relied on the help of a neighbor — a common refrain in small-town Montana. McCafferty also talked about Lincoln High School, “My husband, Arthur, and I moved to Lincoln, Montana, almost 21 years ago. When we moved there were the school was nearly 300 hundred students and today it is 120.” She went on to describe how the school has cut down to 6-man football. She said the bill would provide much-needed growth, and she even mentioned that the committee hearing was the nearest she had been to a plumber in months. The downside is that outlying areas often have to scrap for certified trades professionals when there’s a home emergency. Although, the proponents realized HB405 is not a magic “silver bullet” for solving the persistent problem of retaining young professionals in small-town Montana, it is simply a start. “I am encouraged by Representative Krautter’s efforts to try and keep our workers here, bring them home, and help encourage others to choose Montana as their place for a new home,” said Andy Shirtliff of Montana Young Professionals. But the key question remains: is the “Catch and Keep Montana’s Treasure” Act bill feasible for our rural-heavy state? Kansas has proven that it can succeed. Created in 2011, the Kansas Rural Opportunity Zones Program offers up to $15,000 to recent college graduates to help pay off student loans if they move to certain designated rural counties. Folks moving to Kansas are eligible for tax credits, too, as incentive. In 2017, according to the Kansas Department of Commerce, 600 people participated in the program, as the Montana Free Press reported earlier in March. Nearly half of the 600 grantees stayed in their area for the required five years, plus another year. Wilsall is just one of many small towns looking for a young workforce. It should be noted that the program has not completely solved the urban and rural divide issues plaguing Kansas. But it has shown slow, steady improvement, as five of the 40 counties reported population growth as of 2017. Personally, I have a lot of hope for this bill. As a recent graduate of university myself, and a small-town person, I believe HB405 would provide comfort and much-needed stability for those who decide to live in Montana’s rural towns. I do not like living in big towns. Sure, I like to visit, but I am used to being out in the country where I don’t hear cars at night, and I can leave my dogs outside all day without a fenced yard. I find living in the country or small towns to be much more freeing, slow and quiet. Also, I really prefer being able to raise chickens without needing a city permit! There is no doubt that it can be difficult to find a decent job that is somewhat competitive in cities like Missoula and Bozeman. Often, young professionals stay in these larger Montana towns, despite their desire to move somewhere smaller, because of job availability and increased pay. It is definitely something that I have been mentally preparing for. I head back to school this fall, but if the resourceful bill passes, I will seriously consider the benefits of the Catch and Keep program when it is time to choose where I live after graduation. The “Catch and Keep Montana’s Treasure” bill has passed out of Executive Committee 14-5 on March 20. It now goes to the House for a vote tomorrow, March 22.